I can't remember where I first heard of Greetabl but I'm glad I did! I've used in twice in the last couple of months and I definitely plan on using again. This is the perfect gift to send a friend for under $20 (in most cases!). It's thoughtful & I love how much you can customize it. There are so many possibilities. The website is super easy to use and you can put together a creatively-curated gift in a matter of clicks. The first step is determining a box design! There are usually 8 options with varying patterns. I've used the birthday pattern but decided to go with this beautiful floral pattern for my mom's Greetabl. Next, you choose a gift to go inside. Again, endless possibilities. Want something for their sweet tooth? More than enough options. How about a candle? Other options include a small letterpress print, soap, necklace or mini copper mugs. These gifts range in price from $2-$25. 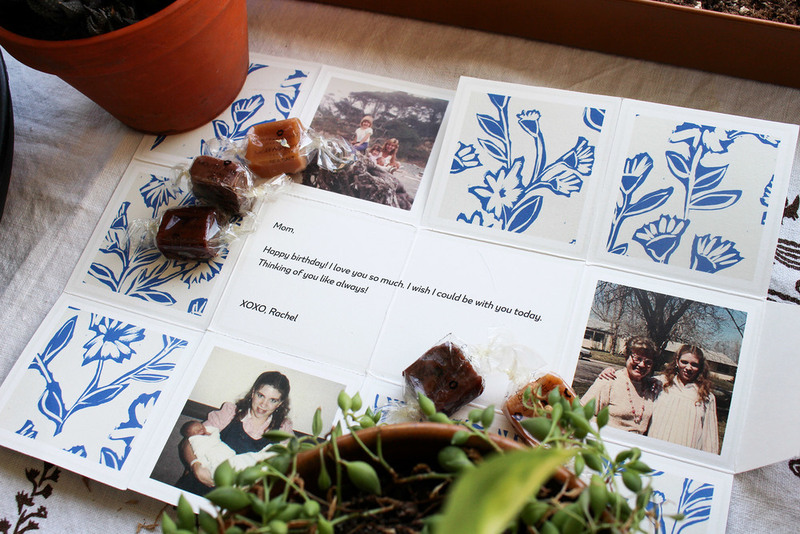 Once you have built your Greetabl, you can add a personalized message and photos (if you want!). That is one of my favorite things about Greetabl. Adding the personalized photos. Once you receive it and open the box, it unfolds to show a short message and up to 3 photos that you can tear off to keep. These photos are perfect for wallets or to stick on the fridge. If you don't want to add photos, no worries, the pattern will be in their place. If you aren't sure what to write as a message, Greetabl supplies you with somewhere to start. Another nice touch! All you have to do now is review your Greetabl, make any changes you would like and send it off to your friend, lover or in my case, my mom! All of this can be done in under 15 minutes! It will arrive in a small box with the Greetabl inside. Everything about this gift is so well thought out, down to the packaging. When you open the box, a small card that says Deliver Happiness sits right on top. I always appreciate the small details. They make something like this extra special. Greetabl has kindly offered a coupon code to all Simply Gifted readers so you can try out your own creatively-curated gift. Try it out! I'm sure we all have someone in our lives that would love a little surprise whether for a birthday or just because! Enter SimplyGifted at checkout for 20% off your Greetabl. This code is good until July 1st! I met Meredith of Sea Heart City Press through our shared love of paper goods & sending mail! After emailing, we realized that we live across the street from each other! What are the odds? Her beautiful letterpress studio is located on the same block as well. I like to believe it was fate that we met! We are teaming up for a really fun contest & giveaway! Have you ever found yourself looking for that perfect card but couldn’t find exactly what you were looking for? Like, a friend who just adopted a new fur baby? Or your friend just got rid of their old car and is pretty sad about it? Us too! The possibilities are endless. We would like to invite you to send us your wackiest, funniest occasions that you wish you had the perfect card for! 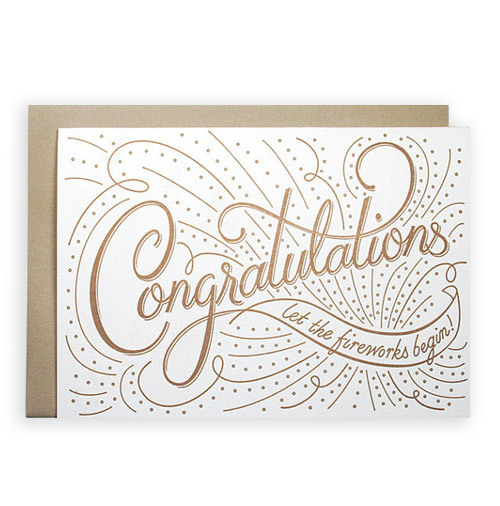 We will select our favorite one & work up a one-of-a kind card design! Sea Heart City Press will then do a run of this limited edition card that will be available in her shop. Submit your ideas here! We will be running the contest from Wednesday, April 6 til Wednesday, April 20. You have a full 2 weeks to send us your ideas! Feel free to enter as many ideas as you would like. Check out Sea Heart City Press shop here.